Erlik was once a jungle world, full of deadly flora and fauna which earned it the name “The Green Hell.” Its few surviving visitors would often say that “if the plants and animals don’t kill you, the heat and jungle rot surely will.” In the year 162 AGW, Erlik came under attack by the Thinking Machines. 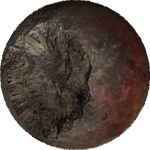 One of their aptly named World Destroyers ignited the planet’s surface, reducing the jungle and earth to scorched rubble. 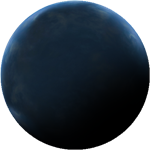 Gymir was a dark and cold planet made up of vast glaciers and frozen seas. Perhaps its only claim to fame was the galaxy-famous Yeti hunts, sparked every few years when the Yeti migrations began their regular cycle. It was also the primary supplier of the exotic material known as Carbotanium, a required component in the making of indestructible weapons and armor. 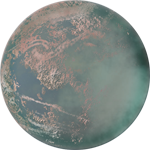 Violent earthquakes and volcanoes once shook the small planet of Naraka endlessly. Its air constantly swirled with sulfur and toxic gases. When the Thinking Machines came through Fringe space, Naraka was completely evacuated. Its facilities and Gate were flooded with lava floes to prevent giving any advantage to the enemy in the case of an occupation. 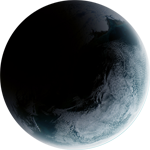 The planet was decimated by a World Destroyer and labeled uninhabitable. 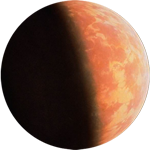 Taranis was once a vast and prosperous mega city that could have rivaled the beauty and technological advancement of the Imperial world Akeir. 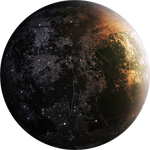 After an unfortunate incident involving several large impacts of space debris from its own moon, a large part of the planet was reduced to ruinous rubble. It saw some recovery once the former gang lord Rama declared himself king of the planet. His efforts provided unforeseen leadership and direction to all the Fringe in the time of the Machine war. Vaitarani was toxic and deadly, littered with the leavings of ancient radioactive fuels and industrial sludge. Even the rain on this planet was acidic. The planet was host to numerous recruiting centers for the Free Peoples Defense Force during the war with the Thinking Machines, and was known for its manufacturing ability as the largest procurer of supplies on the Fringe. 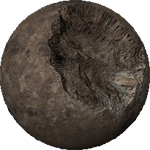 This almost entirely aquatic planet was wracked by ceaseless storms and terrible winds. Vajra’s seas teemed with unimaginable monstrosities, while its inhabitants tried to eek out an existence on its few small landmasses. In the year 162 AGW, the planet announced its intentions to erect and colonize deep-sea underwater cities capable of fully sustaining life for the vast majority of the populace. Vritra was dry and barren, a desert without end. Its few, small settlements huddled around deep, muddy wells. Vritra defered to King Rama as their leader, though they had their own government local to the planet.